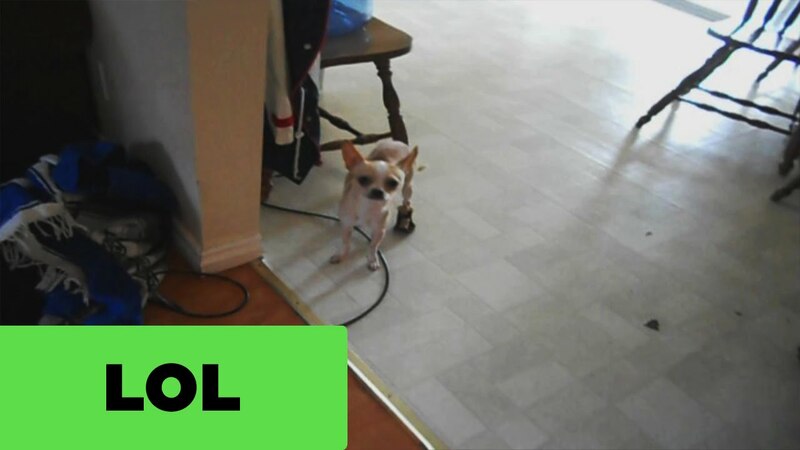 This Chihuahua doesn’t like his new back shoes… and shows it convincingly! Why do people put these things on the little dogs? Their feet are created to run free, not be tied with this kind of bs!